Our Pretzel Rods are a tasty lowfat snack favorite that we’re sure you’ll love. We’ve made this flavor with healthy eating in mind and a taste that can’t be beat. A special favorite throughout the Upper Midwest, bring them along on your next canoe or fishing trip in the summer or snowshoeing or skiing trip in the winter. 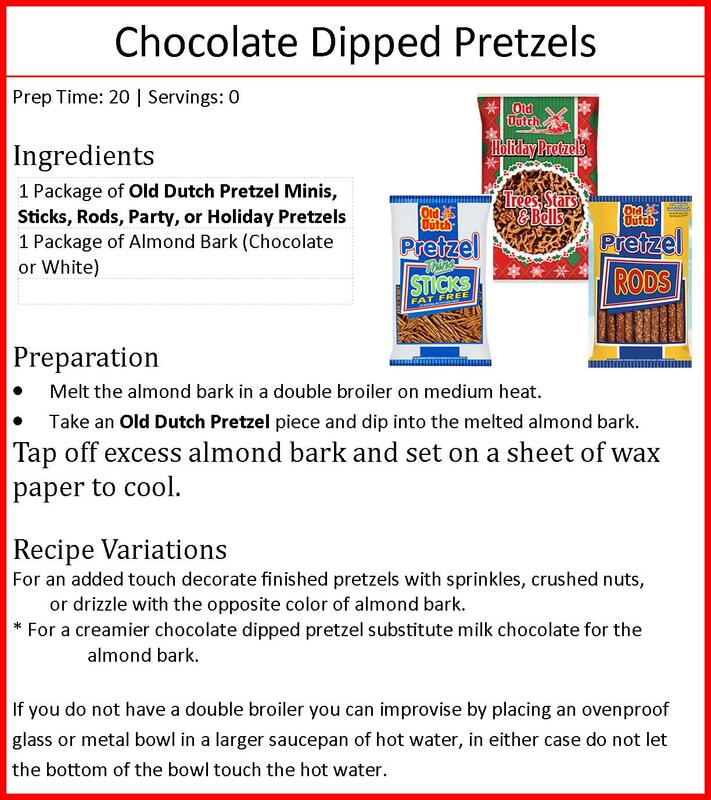 Click here to Print "Old Dutch Chocolate Dipped Pretzel Recipe"